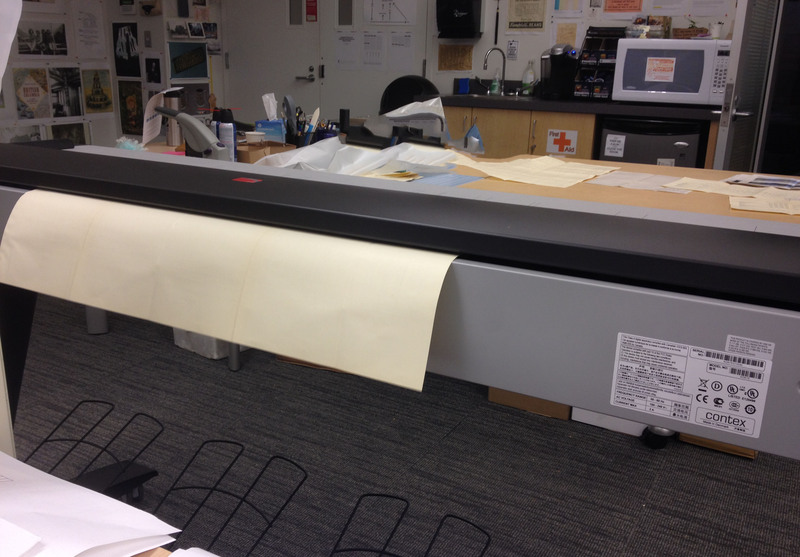 How do large maps get scanned? How do materials larger than average size get digitized? While we may use our TTI device (more about it coming soon in a new post!) 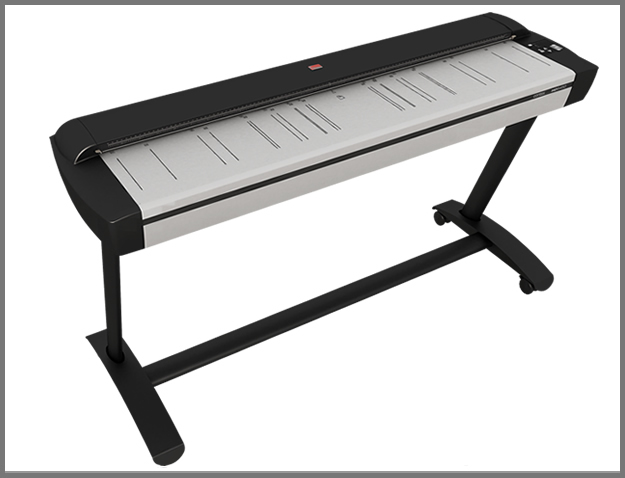 we often use our Contex HD5450 scanner that can handle large format materials up to 54″ wide and of unlimited length. Not only does the Contex scanner produce fast high-resolution scans, it also has a gentle mode to protect delicate materials. Inside the Contex are three built in cameras. Once the material is scanned the scanner and software stitch the images together. One of the most recent uses of the Contex is for oversized materials in the BC Sessional Papers. 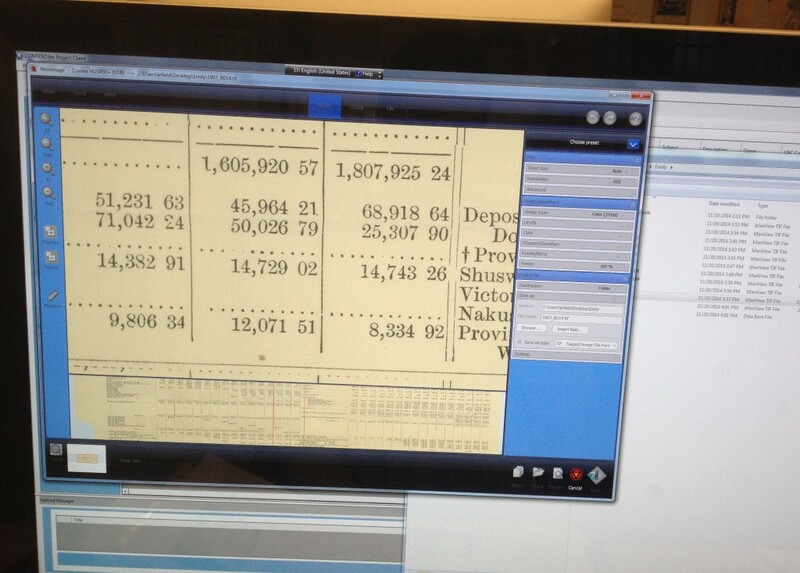 Often the volumes have pull out documents that range in sizes and cannot be scanned by the Fitjistu machines like the other pages in the volumes can be. We lay the documents to be scanned flat on an empty table. 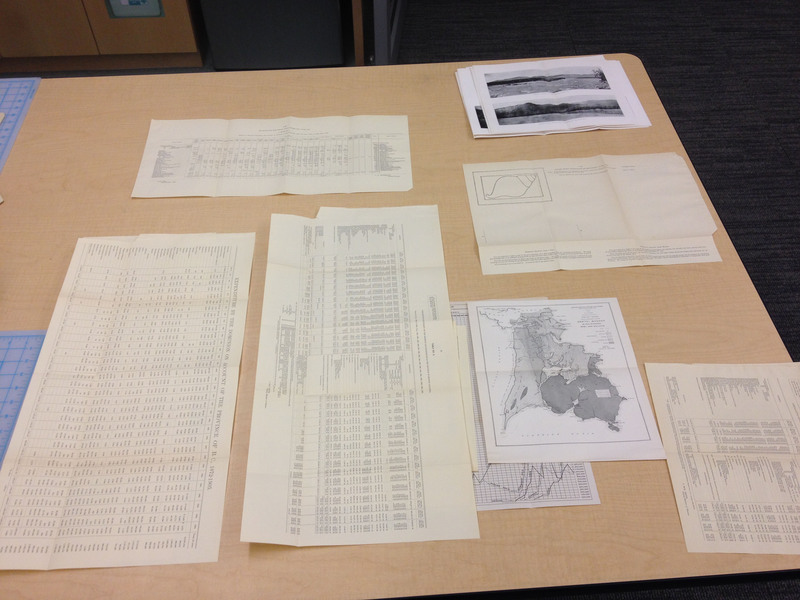 The first image shows a bunch of maps and charts from a volume of the BC Sessional papers. 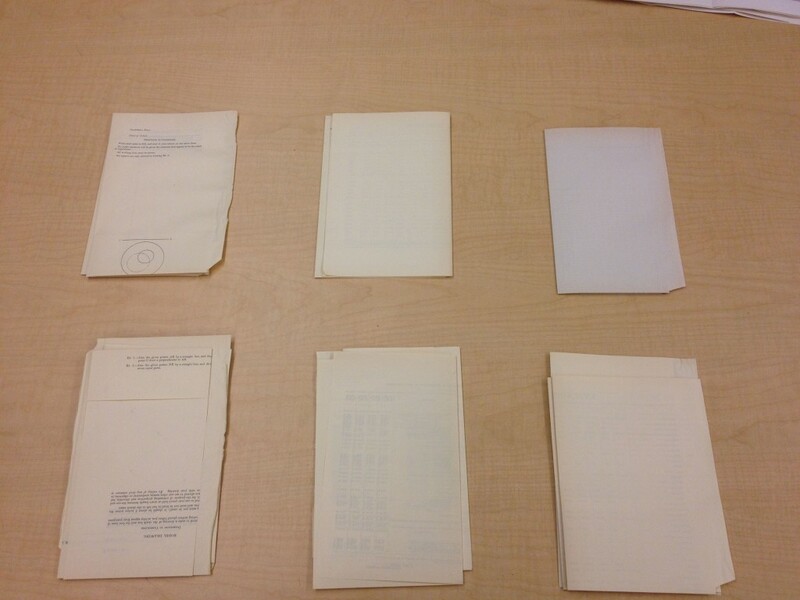 The second image shows what they look like when they are unfolded. Materials from BC Sessional Papers. Materials unfolded from BC Sessional Papers. We place the document, in this case a chart, face down. The centre of the document is centred with the centre marker on the scanner. Chart is placed facedown on the Contex. 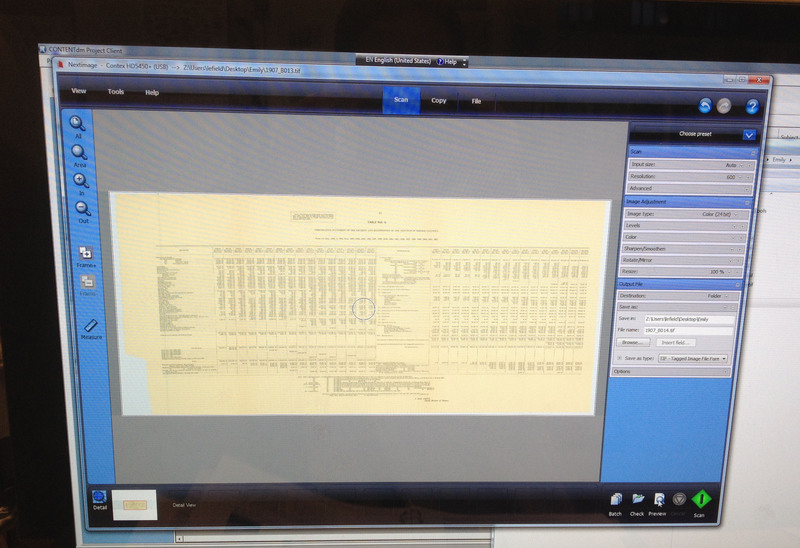 We then go to the computer and click preview to make sure the entire document is visible in the image. The preview we see on the computer is a low resolution image. If we are happy with the preview, we click scan and the document goes back through the feeder and is scanned in a high resolution format. If we are not happy with the preview, we will manually replace the document and try again. Chart coming out of the scanner. The scanned image differs than the preview image in that there’s a higher resolution and better quality picture. 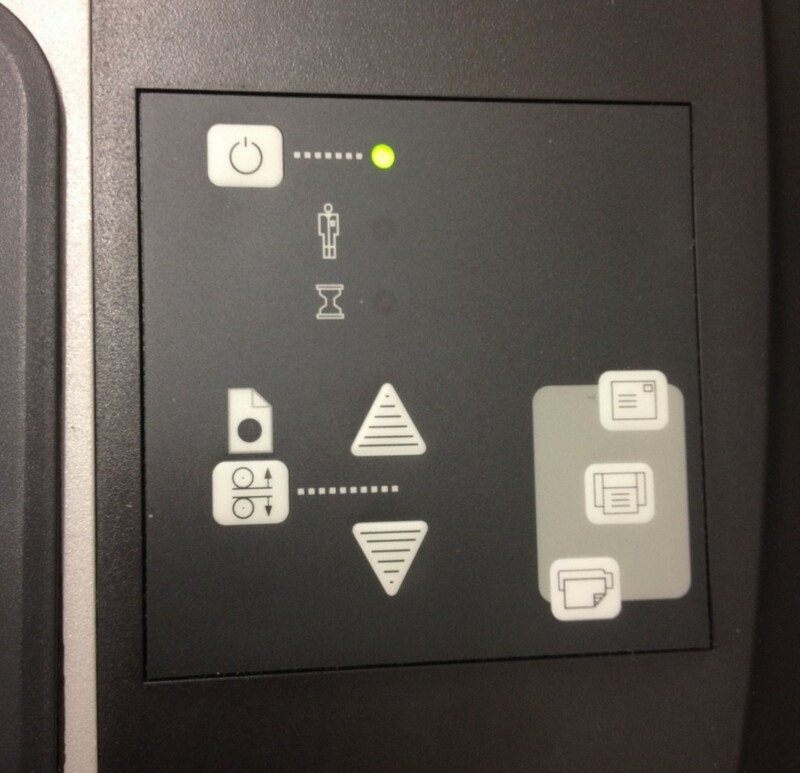 To control the document from entering and leaving the scanner, we use the up and down arrows. 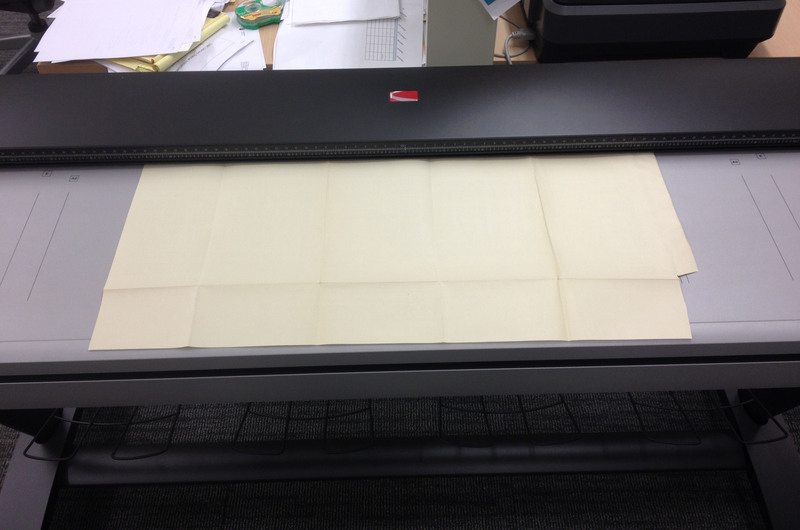 Stay tuned for more behind-the-scenes posts about the Digitization Centre!